Actress who had roles in the soap opera Days of our Lives and appeared in Baywatch Hawaii. She also appeared in the film Liar Liar. She won $2,500 at Caesar's Palace in Las Vegas while on a road trip. She is also known as the famous Emmanuelle in Space. 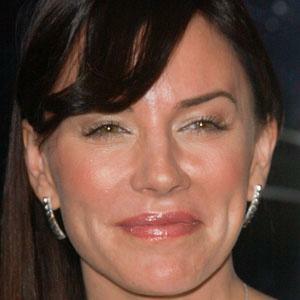 She married Justin Moritt in September of 1996. The couple had a son named Jake together and divorced in 1999. She then was married to Mams Taylor from 2010 until 2012. Following their divorce she began dating Nathan Fillion. She starred with Adam Sandler in Anger Management.